Omega has grown up surrounded by women - literally. 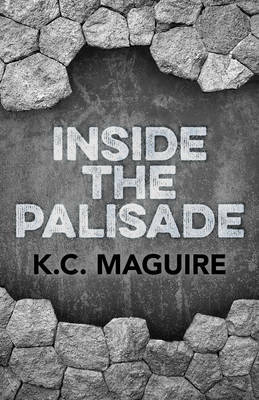 Inside the palisade, women fall in love, marry and raise daughters, relying on an artificial insemination process known as the Procedure. But something goes horribly wrong. One day, Omega comes face to face with a mythical monster - a man - within the society's walls. Men had been eradicated long ago to protect women from the threat of violence. But this boy is not what Omega has been led to believe. And he needs her help. She soon finds herself embroiled in a manhunt headed by a vigilante Protector, Commander Theta. When she falls into Theta's clutches, Omega realizes that there's more to the banishment of men, and to her own past, than she's ever known. Ultimately, she is forced to make a choice between betraying the lost boy and betraying her society, a decision complicated by the realization that she has more in common with him than she cares to admit, and the fact that she is developing feelings for him.